Worst snow tire I've ever had on a car/SUV. Can't tell you how many times my car slid right through stop signs going 5-10 km hr. These are performance snows not safety snows. We are extremely happy with the purchase of these winter tires. They transformed our 4matic GLK350 into an unstoppable machine --- until you hit the brakes that is --- that's where the most performance is actually noticed. Went from stock wheels (P235/50R19) to aftermarket (P235/60R17), other than a little soft in cornering due to the extra 2 inches of side wall, these tires perform flawlessly! For summer we run the Latitude Tour HP, and would normally not opt for winter tires, but my wife recently changed jobs resulting in a little further of a commute. That being said, the Latitude Tour HP's are good in winter, but the Latitude X-Ice Xi2;s are amazing! 5 Stars!!! Very happy with my tire purchase. I have had these on my truck through 3 winters and still plenty of treadwear left. Excellent on icy roads in the Northwest, on rural roads from November to April. These tires grip especially well in the rain. Love the tires, would buy again. I never have any problems with Michelin tires. I will not buy any other make of tires but Michelin. I have never had any problems whatsoever with Michelin Tires. These are the ones that work the best for my vehicle and I would recommend these tires to anybody!!! 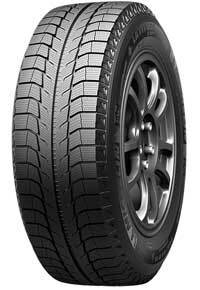 For a two wheel drive winter tire, this tire is amazing! I have this tire on my mini van and it will go through just as much snow as most four wheel drive trucks. So if you want the wife and kids to come home safe, this is the tire for you!